Below are a few questions to ask yourself to help choose the perfect rental. Where in Cape May do you want to stay? Beachfront, Oceanview, Near Shopping, Secluded or Bayfront. Can I bring my pet? Cape May has many Pet Friendly rentals available. Many properties have yards for your dog. Many owners have size requirements for pets. Do owners rent whole homes? Yes. Many Cape May rentals offer whole house rentals for large families. Some homes will accommodate 20 or more guests. Check to see how much parking they provide as parking can be a challenge in Cape May. What are some of the best locations to rent in Cape May? The number one destination will always be beachfront. However due to the historic nature of Cape May many renters choose to be in the historic district. Jackson Street is the most centrally located street in town. It overs easy access to the beach and Washington Street Mall. There are many decisions to make when choosing a vacation rental in Cape May. Our best tip is to take your time and speak with the owners and read reviews. Good luck in finding your perfect Cape May Rental. From NJ.com, Your vacation to the Jersey Shore is about to get more expensive. Blame it on taxes. Every year we hear the horrible news about another home in Cape May that had its pipes freeze and break. The damage is usually very bad when a pipe bursts. Here a few tips to prevent your pipes from freezing. Leave your heat on. Do not turn your heat off. Set your heat to a temperature that you feel will protect your home from freezing. Install wi-fi enabled thermostats to allow you to adjust your heat according to the weather. You will save money and gain peace of mind knowing your heat is set to a proper temperature. Have your property inspected during the off-season. If you use a maintenance company have them inspect your home during the cold months. Leave your faucets dripping. During especially cold snaps many folks recommend leaving your faucets drip slightly. This prevents the water from freezing. Leave the cabinet doors open on your vanities and kitchen sink cabinets. This allows warm room air to warm your pipes under the cabinets. Use heat tape on pipes in your crawl space areas where your pipes are more susceptible to freezing. Cape May is a pet friendly town. Take a walk around town and you will see many pet owners walking their dogs. One of the joys of a walking a dog is meeting new friends along the way. Things to consider when renting to guests with pets. How Many Pets?— What is the limit on the number of pets you will allow in your property. Type of Pets allowed– Dogs, Cats, Birds? Size Restrictions — Many owners set a size restriction on pets. Often condo associations that do allow pets will set a weight restriction of up to 30 to 40 pounds. Check with your insurance to see if your policy will allow pet rentals and determine restrictions that the policy may have. Housebroken — Do you rent to puppies who may not be house broken? Furniture — Owners should ask guest to bring a pet bed if possible. This will hopefully keep pets off of your furniture. Pet Cleanup — Owners must have rules regarding cleanup and disposal of pet waste. Leash Policy — Always require a leash. Pets should not be unleashed outside of your property. Things to consider when choosing a pet friendly rental in Cape May. Does the property have a fenced in yard. Near Dog Parks – Is the rental near a dog park. In order to market your home in Cape May, homeowners definitely need to familiarize themselves with the area. First things first, it’s important to understand just how much the cities and state invest in this area. Cape May generates a lot of revenue and the revenue is being used to update much of Cape Mays business district. Tax dollars are being spent in the business district and this is important to any owner of rental property in Cape May. The better the historic business district looks the more likely travelers will make Cape May a destination. While its true that the Jersey Shore is seasonal in many ways, Cape May is different. Cape May is now a year-round destination. Things slow down in January and February but pick right up with the first blooms of spring. This makes Cape May an excellent investment for vacation rental owners. What rents in Cape May, West and North Cape May? House rentals: There is a huge demand for Cape May House rentals. Many families come back year after year to the same house rental. House rentals often offer a more affordable way for large families to vacation together. Condo rentals: Cape May condo rentals are located throughout Cape May. Many condos are located in some of the most historic buildings converted for condo use. Cottage rentals: Cape May is know for some of the most charming classic seaside cottages on the coast. Rentals with a pool: Yes we even have pools! What location to buy in Cape May? There are many beautiful places to own a rental in Cape May. If you’re looking to rent as much as possible, the beachfront properties will always be in high demand especially close to the historic district. The Washington Street Mall is the central business district in Cape May. Many rentals are near the mall. Many travelers prefer the convenience of being near the mall area. Rentals in this area tend to charge more than further out. The general rule in any coastal location is that the closer to water the higher the rent. This also holds true in Cape May. However some of the most expensive rental properties are the large homes located throughout Cape May. Many have recently been converted from B&Bs to whole house rentals. How do I rent my property? Many owners either list with a realtor or rent on their own. There are many realtors in town that offer vacation rentals. For owners who choose to save money and have more control over screening occupants, the rent by owner option is best. The best way to market a Cape May rental is to list your rental locally on CapeMayVacationRentals.com. Cape May Vacation Rentals offers owners the ability to list their rental and deal directly with travelers who inquire about their rental. Other options are national listing sites like VRBO and Homeaway. However these sites charge travelers service fees. New Jersey has now passed a law that requires owners of Cape May rentals to collect tax. Owners will now be charging a tax of up to 13.625% on top of their base rental rate. For more details please visit the New Jersey Division of Taxation. There are many different options for choosing the right Cape May rental for your vacation. One favorite for travelers is the whole house rental. In Cape May there are many different house rentals to choose from. CapeMayVacationRentals.com offers some of the finest house rentals available in Cape May. Whole house rentals are located throughout Cape May. Many homes are very large and can comfortably accommodate 20 or more guests. Guests can find that house rentals are a more affordable alternative for large families. They can share cost by paying for one or more bedrooms. Looking for a great way to see Cape May. Take one of MAC’s cheery red trolleys and take a guided tour the easy and comfortable way. Knowledgeable guides will tell you everything you want to know about America’s first seaside resort. Victorian heritage is on display with our seashore and maritime history and more. Trolley tours are perfect for every age, too, with a variety of tours especially geared to the younger set, and themed tours for holidays and special events. Get acquainted with Cape May on a trolley tour. Knowledgeable guides present entertaining and educational stories about the nation’s oldest seashore resort. Tours begin and end at the Washington Street Mall Information Booth. Take a guided trolley tour of Cape May’s Historic District. Then take a guided tour of Cape May’s only Victorian house museum, the Emlen Physick Estate. The estate is located at 1048 Washington Street. Combination Trolley/Physick Estate Tours last about 2 hours. Admission includes the Carriage House Gallery at the Physick Estate. Make a list of all of the potential Cape May vacation rentals on Capemayvacationrentals.com you have found along with the rate. Its much easier and less time consuming to go back to your list for reference. 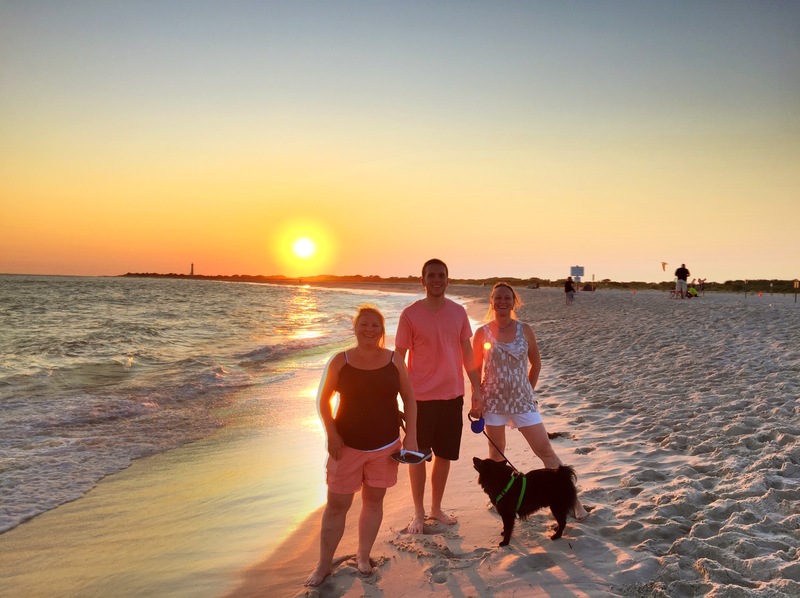 Photos and reviews of Cape May vacation rentals are often all you will have to determine if the property is right for you. Look for well photographed rentals. Look for details in the photos. Size of rooms, furniture, cleanliness and more. Take the time to call an owner. Often you will get much more information about the rental with a phone call. My comfort level goes way up when I can speak with an owner. Find out if the owner has a personal website for the rental. Capemayvacationrentals.com offers owners the ability to link their ad to a personal website. Avoid fees by booking directly with an owner. Contact the owner to confirm pricing on Capemayvacationrentals.com . Get quotes from all properties you are considering renting. Mark your calendar for our 7th annual event and come to the beautiful grounds of the Emlen Physick Estate for an all-day festival featuring local and regional craft beers to wash down favorite summer foods … steamed crabs, pulled pork, crab cakes, shrimp and hot dogs, as well as food from regional vendors. Sponsored by the Mid-Atlantic Center for the Arts & Humanities (MAC), this fun summer event will benefit MAC’s free educational outreach programs. Ready to put the long, cold winter behind you? Come and celebrate the arrival of Spring in Cape May. Stroll the historic streets and enjoy the gorgeous blooms and the warm sunshine. We have lots for you to enjoy as you celebrate Spring! Delight in Victorian Cape May during three and a half weeks of tours and activities that celebrate the arrival of Spring! Designer House Tour Saturday, May 19: 11am-4pm It’s a design lover’s dream! Visitors can step across the thresholds of professionally designed, grand private homes in Cape May that are open to the public exclusively for this occasion. $25. Be inspired by a variety of beautiful décor ideas. Visitors receive a booklet with descriptions of the houses and a map. Lighthouse Full Moon Climb Sunday, April 29: 8pm-10pm Let the light of the full moon guide you up the 199 steps to the starry top of the Cape May Lighthouse. $12 for adults, $8 for children (ages 3-12). Chocolate Tasting Tour Saturday, May 5: 1pm-3pm See the interiors of select Cape May properties on this self-guided tour and enjoy a mouth-watering chocolate treat. This tour celebrates the variety of ways that chocolate desserts are delicious and that Cape May properties are beautiful. $20 adults, $15 children (ages 3-12). Sip Into Spring Festival Saturday, May 12: 10am-4pm New in 2018! Enjoy the lovely grounds of the Physick Estate transformed by vendors and crafters into an outdoor marketplace. Celebrate the season of rebirth and new growth! Be inspired by gardening and nature activities and demonstrations, and enjoy music, crafts & collectibles, festival food, wine, beer, Bloody Marys and mimosas. Jazz Brunch at the Estate for Mother’s Day Sunday, May 13: 10am Celebrate Mother’s Day under the tent at the Carriage House Café & Tearoom with brunch and enjoy live jazz from The Great American Songbook with Mary Lou Newnam, saxophone, and Sonny Troy, guitar. Advance reservations recommended. $30. Armed Forces Day Saturday, May 19: 11am This annual ceremony honors the dedicated military men and women who help preserve our freedom. The fully restored World War II Lookout Tower (Fire Control Tower No. 23) is the perfect setting to pay them tribute. This free event is sponsored by the Friends of the World War II Lookout Tower.